MHA was extremely pleased last week when Premier Daniel Andrews announced funding for to clean up and preserve Flinders St station. For a long time MHA, along with other groups such as the National Trust, have maintained that what was urgently needed was money for basic restoration of Melbourne’s architectural icon. Premier Daniel Andrews and Minister for Public Transport, Jacinta Allan, visited Flinders Street Station today and announced that funds will be provided to undertake urgent restoration works and upgrade station platforms, entrances, toilets and information displays. The previous Liberal Government held an indulgent colouring-in competition while the station fell apart, producing space-age designs but no works, no funding and no improvement. 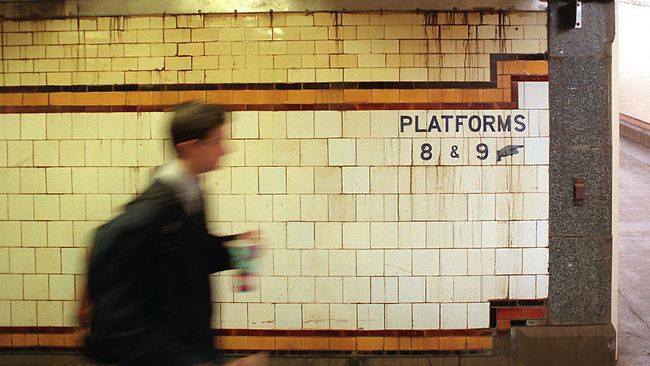 Without urgent heritage works, parts of the station will become unsafe, unusable and eventually, unsalvageable. In addition, a business case is being developed which will allow the Labor Government to consider options to fix the old ballroom and other derelict parts of the building. Our vision is to bring in new tenants and create an exciting commercial precinct. ← Heritage streetscape on La Trobe St under threat – again!